During today's dedicated press event, Apple unveiled its fourth-generation Apple TV, which runs the brand new tvOS. While the design of the unit may not have changed much, Apple has packed enough new features to make up for it. The Apple TV 4 has very subtle changes to its design, while maintaining the familiar look of its predecessor. Because of the enhancements to internal hardware, the device is now slightly taller and wider that the previous model. The new model even maintain its black color, same as the previous two generations. The on main addition to the Apple TV is its brand new remote, which grately enhances the way a user interacts with the set top box. While the original Apple TV remote was undeniably beautiful, it couldn't really be described as functional. The new and improved remote control that ships with the Apple TV 4, houses an integrated Glass touch surface for swipe navigation and control, Siri button, play / pause, volume, a Menu button, display button, and also a built-in microphone so that commands for Siri can be input from anywhere without shouting. There’s also the integration of advanced motion control thanks to the inclusion of an accelerometer and gyroscope which helps to navigate around the UI and more importantly can also be used for gaming purposes. The new remote connects using Bluetooth as opposed to IR in previous-gen models. It comes with a rechargeable battery that can last up to 3 months on single charge. Charging is done via the usual Lightning connector found in iOS devices. Because of the various new capabilities introduced in Apple TV 4, the company has decided to bump up the storage on their set top box. You can purchase the new device in either 32GB or 64GB storage options, which should allow you to store your game data or install third-party apps on the device from the App Store. The fourth-generation Apple TV has a huge bump in internal hardware. Apple has outfitted the new device with its powerful A8 64-bit processor, which debuted on the iPhone 6. This is a notable jump from the A5 chip on the previous model. The hardware enhancements will help the new Apple TV handle the various improvements the company has introduced on the software side. 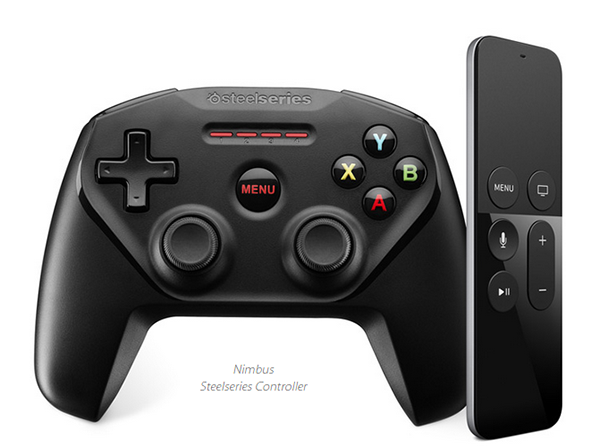 In addition to the motion-supported included remote, Apple has also added support for bluetooth based third-party wireless controllers for gaming purposes, which means soon there will be special Apple TV compatible third-party controllers available that you can get separately for gaming on the big screen. 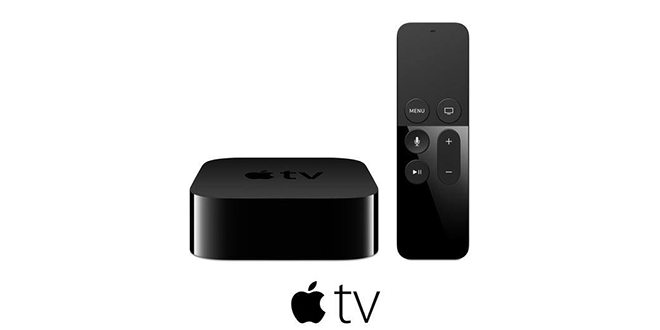 Apple has designed a brand new tvOS for the Apple TV 4, which is based on the company's mobile operating system - iOS. This brings the Apple TV on par with the rest of Apple's mobile offerings, and allows developers to port their apps to a whole new platform and a brand new audience. Apple tvOS offers an entire UI revamp, and improvements like bouncing between apps by double-tapping the Home button on the remote, customizing your Home screen, ability to set cinematic screen savers etc. will go far into bringing the new Apple TV into more and more living rooms across the world. 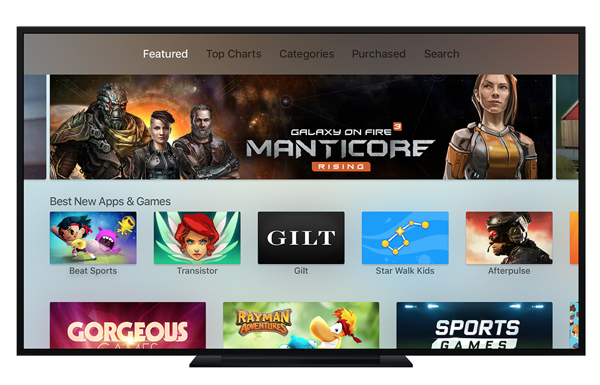 The tvOS also includes key iOS technologies such as Metal, giving the set-top-box some serious punching power in the casual gaming world. Siri integration has also been introduced into Apple TV 4 allowing users to take full control of their TV sets with their voice. Siri makes it a lot easier to search for your favorite content using your voice, but is capable of so much more. Just like the iPhone and iPad, the all new Apple TV will now respond immediately to given commands and execute whatever it has been told to. 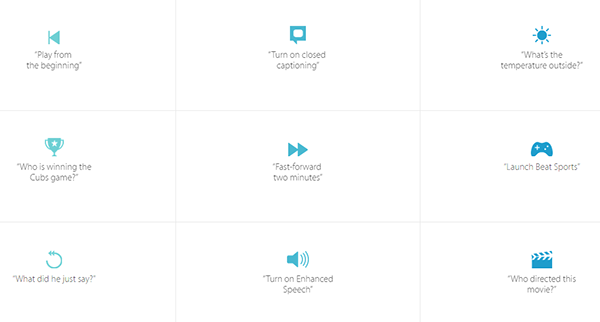 The input for voice command is given using the all new remote control, as explained earlier. Check out the image below for some of the functions that can be triggered via Siri. The addition of universal search is an interesting move from Apple. The additional features afforded to the Apple TV 4 via the brand new tvOS will also be complimented by the ability to search a plethora of services from one single search area. So, as an example, if you’re searching for a particular movie, the new Apple TV will look for that movie on the likes of iTunes, Netflix, Hulu, and an array of other sources should they exist. It’s truly one converged search capability that will delight end-users. 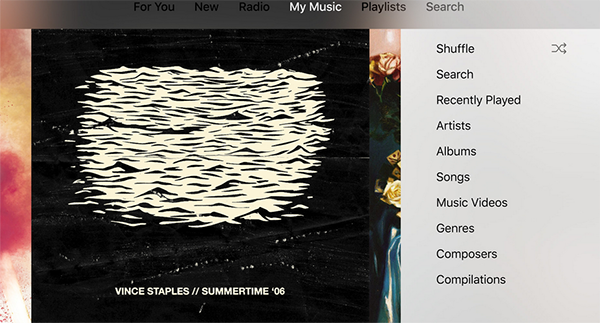 Apple Music is headed to the Apple TV 4! The experience will be as full as that on the iOS platform with complete support for library, playlist, access to 30 million songs, and even the Beats 1 radio. The time has eventually come. It’s been discussed and speculated upon for so long, but the angels have spoken and the Apple TV App Store is finally here in all of its glory. Like its iPhone and iPad counterpart, the Apple TV App Store not only allows the device to be extended through the installation of excellent applications, but also coincide with a dedicated Apple TV SDK that allows third-party developers to develop and publish an array of powerful apps and games tailored for tvOS. Check out the following video which demonstrates the features of the Apple TV 4. You can purchase the brand new Apple TV 4 starting end of October this year.